I read a couple of stories about a “Make-A-Wish” kid who got to attend this year’s USC Spring football game. A young boy with a rare blood disease whose wish was to play with a real football team on a real football field. 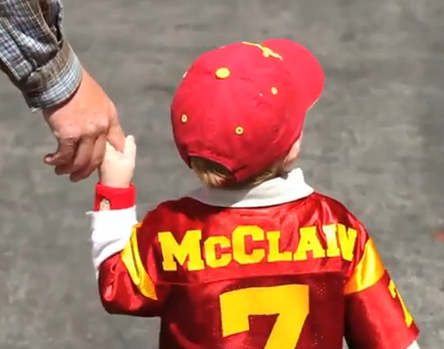 “Make-A-Wish” contacted USC… and this kid got more than he could have imagined. The stories I read are heart-warming. They made me proud of my Alma mater. Proud to call myself a Trojan. Then… I saw this video. That’s what video does better than any other medium. It stirs emotions. Not every video is going to move someone to tears. I often say my hope for our clients is that our videos leave viewers feeling a sense of confidence in that company. The point is even business videos tap emotion… at least the good ones do. Make sure your videos are capturing people’s spirit.